A gentlemen's gift should be full of class, sophistication, and a hint of rebellion. Our experts have put together a pairing that is sure to please and impress. 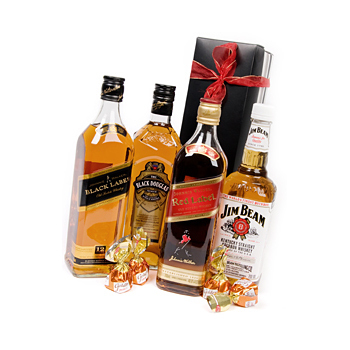 Your recipient will receive full flavored bottle of Whiskey of your choice (700 ml) and tempting Caramel Chocolates. Reward a promotion, surprise him on Father's day, or give him something to share on guys' night out with Rich Caramels.